Absolute Water Restoration is an IICRC certified water damage restoration and mold remediation contractor serving home and business owners in Overland Park KS. At the first sign of mold or mildew in your home or business, you need to act fast. If you have experienced water, flood or sewage damage in your basement, crawl space, or commercial property, our rapid response team will work quickly to extract any standing water and mitigate damage, as well as detect and remove mold and mildew growth. Smelling musty air in an area of your home is the first sign of a mold or mildew problem. Our trained experts will inspect the room for cement leaks, plumbing leaks, poor air circulation, and other common problems. In some cases we will recommend a professional mold test. At that point we will test the air inside your building and compare it to the air outside, allowing us to to provide you the details of the air quality. Mold exists everywhere. But if the mold count in your building is greater than the outside air, you very likely have a health problem in your home or commercial property. We will evaluate the area for structural damage and provide a fair estimate for mold extraction, mold remediation, structural repair, dehumidification, ozone air purification, and other services needed to clean the area and prevent mold from returning. Do you see mold spores on your bathroom or basement surfaces? Do some areas feel slick or slimy? Many homeowners ignore the obvious signs of a bigger problem by using bleach or chlorine based cleaners to continually clean mold from walls and ceilings. Unfortunately, you are treating the symptom, not the cause. Chlorine-based products only treat the surface of the mold and mildew. You need a professional to destroy the spores and prevent mold and mildew from returning. We can diagnose the cause of your mold and mildew, and provide a resolution - whether it's better ventilation, fixing a leaky pipe, or installing a fan. Time is of the essence! The longer you wait, the more hazardous the situation becomes. Call Absolute Water Restoration at the first sign of mold or mildew. 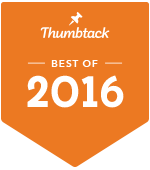 Thanks to our outstanding customers and their reviews, Thumbtack has awarded us with Best of 2016 in Kansas City, MO. "There were some significant rainstorms ... and flooding in the basement which led to mold. Mom's realtor provided us with names of companies that could help with cleaning up the house and we chose Absolute Water restoration to do the clean-up because their bid was extremely fair. Their response was immediate--within two days!! Fill out the form on this page for a free estimate on any of our services or call us directly for 24/7 emergency service in Overland Park KS. We use advanced technology to accurately detect and target problem areas, efficiently remove water, and get you the compensation you deserve. The contents of this webpage are Copyright © 2019 Absolute Water Restoration. All Rights Reserved.